Users can delete their entire account. After the account is deleted their profile information and private messages will be deleted, and other content they created will be anonymised. Users will be clearly informed about what will happen to their personal data after the account has been deleted. In order to delete a user account, users will need to choose the 'delete account' option in the cancel account page. They can reach this page via the cancel account button in the settings page. A user account will be deleted after the user confirms this action via the link in the confirmation email. 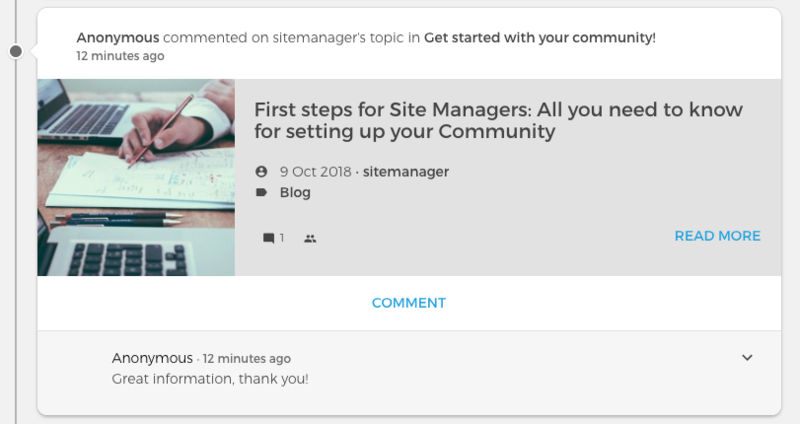 Site managers can also delete a user and have an extra option; they can delete ALL the content content of the user. 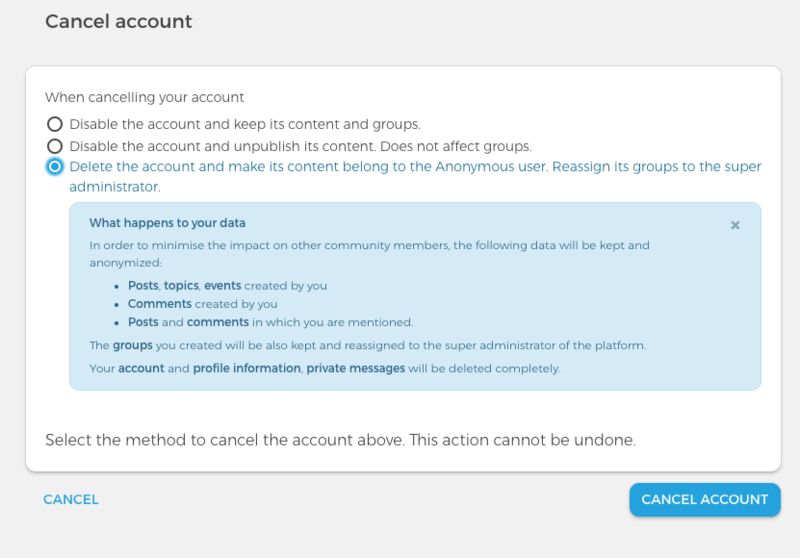 Besides deleting, regular users are able to disable their account. Their information and data is kept in the platform. When an account is disabled, users will not be able to access this account until it is enabled again by the site manager. When a user is blocked, this user is not able to login to the platform anymore. Different from cancelling a user account, when a user is blocked, their information and data is still kept in the platform. This is almost the same as disabling an account, but only Site managers can block a user. This can be done via the settings page of the user, or via the people overview (as site manager) where you can perform an action on a user.